seek knowledge at the hands of the scholars such as Shaikh Rabī’, Shaikh ‘Ubaid, Shaikh Muhammad Ibn Hādī, Shaikh ‘Abdullāh al-Bukhārī and others. 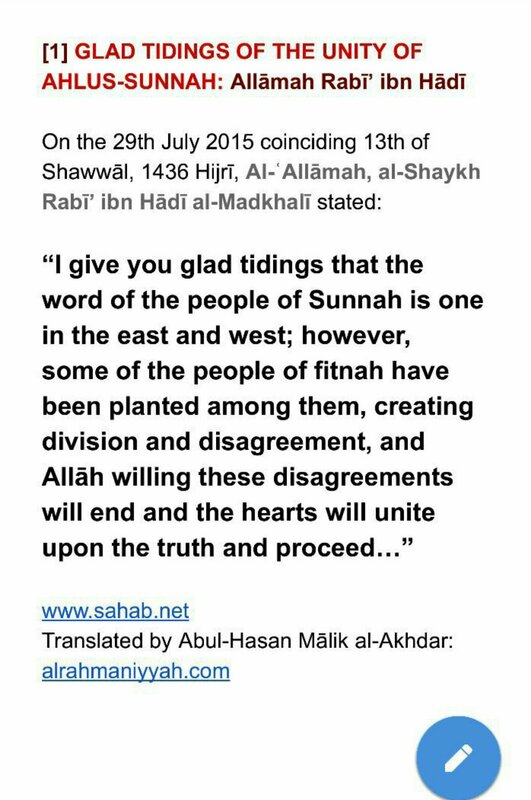 People travelling to Madīnah from all over the world in pursuit of knowledge. 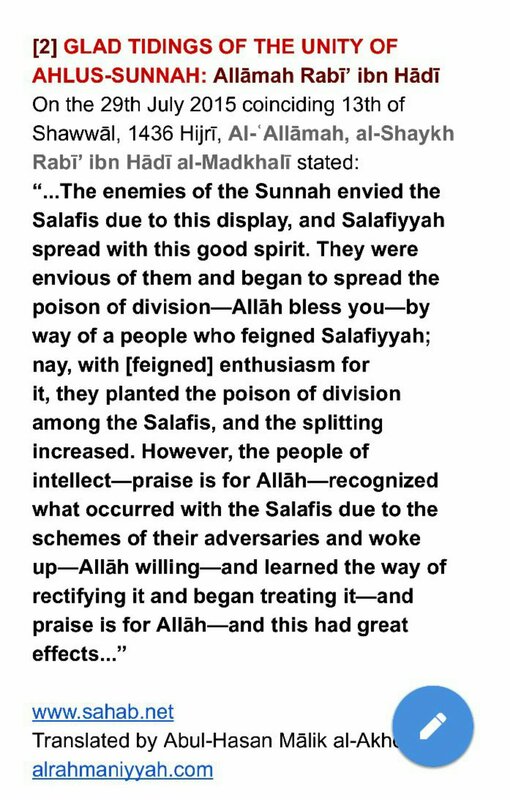 Alhamdulillāh, Salafiyyah is a da’wah that is uplifting, a light for the hearts, it cannot but give good-cheer to the souls of those who embrace it. And all praise is due to Allāh, Lord of the worlds.